Startups have exhibited a great passion in wanting to change the world. To help these startups with their all consuming obsession and burning desire to make a dent in the world, our sound web and mobile app development team handhold startups through product ideation, prototyping, software development, testing and maintenance. We are glad to be companion in the success journey of several global startups across verticals. 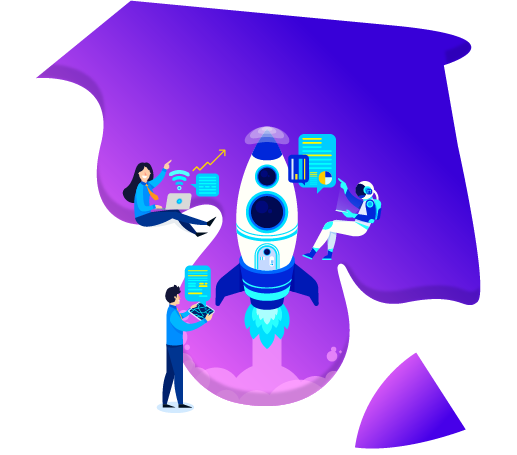 With our highly agile development team combined with the cutting edge product development methodologies, we are capable of transmuting your million dollar idea into its physical equivalent, the form of web or mobile app ready to address the problems than any other solution available on the marketplace. Being a startup we understand the importance of shorter time to market. We have pre built modules which enable us to reduce the complete application life cycle. Our well tested modules developed with the aid of rapid app development methodology are ready to ship which helps to reduce time to market for your application. We respond not react. Our highly agile web and mobile application development team enables us to respond instantly to the slightest changes depending upon feedback we receive from you. We are always ready to reconsider our strategy to meet your new conditions. Agile development methodology allows frequent communication and eliminates the possibilities of any serious errors. You can easily keep track of what’s done and what’s next. We provide end to end web and mobile application development services: from consulting to design, development, delivery and launch and scaling. We collaborate with every client as the technical partner for the product development for web and mobile platforms. We take complete responsibility of the tech side of your business i.e web and mobile app development. With 150+ years of combined experience in web and mobile app development industry we bring unique value proposition to your idea. Our re-engineering process is a bit different when it comes to technology migration. Scalability is at the center of everything we do and we implement scalable solutions to upgrade your legacy app (old software/ web and mobile app) for high-performance, ease-of-use, while using cutting-edge technologies. We layout a well defined plan to rejuvenate and transform your applications (web/mobile/software) without any hiccups. We facilitate a secure, stable infrastructure and a smooth transition. Ramping up and down can be quite difficult at times especially for small organizations. We can work as an extended team of your organisation to tackle any spillover without worrying about the cost and liabilities of additional full time employees.